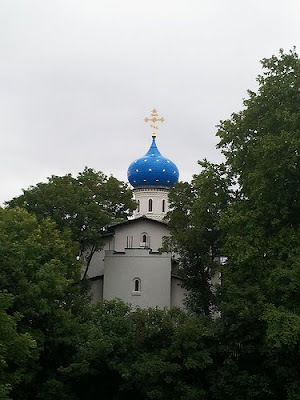 The Cathedral of the Dormition of the Most Holy Mother of God and Holy Royal Martyrs in Harvard Road, Chiswick, is London's Russian Orthodox Church, and was completed in 1999. The history of the Russian Orthodox Church dates from Peter the Great's visit to England in 1698, making it one of the oldest Orthodox parishes in Western Europe. 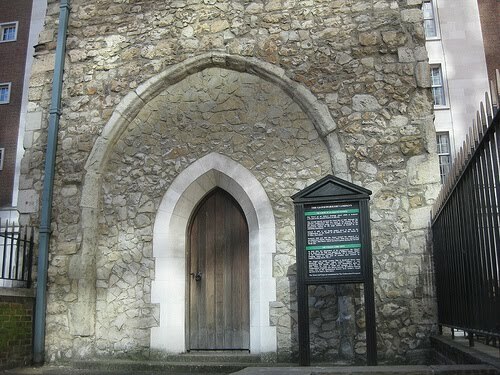 The original church was based at the Russian Embassy, and worship took place at various locations in West London, including a ten year temporary stint at Podvorie All Saints Chapel in Hammersmith, before the church acquired its current location. 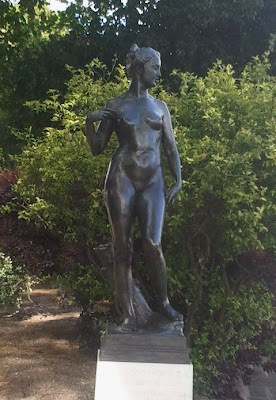 Standing on the Chelsea Embankment is a statue by Francis Derwent Wood, installed by friends of Wood including members of the Chelsea Arts Club in memory of the celebrated scuptor. 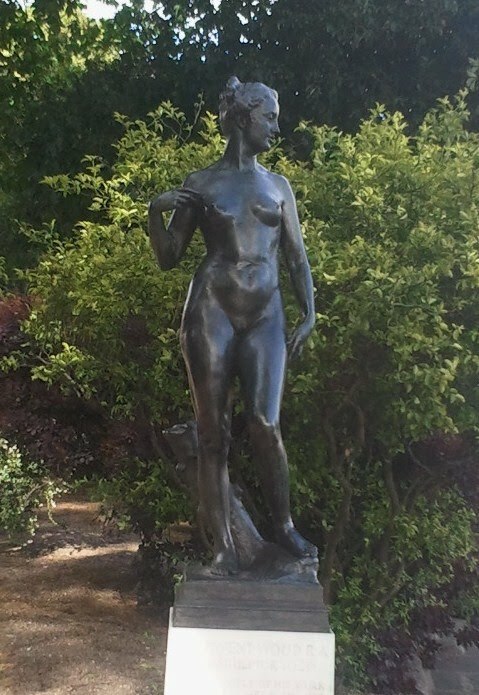 The statue is a cast of Wood's 1909 marble statue which can now which be found in the Manchester Art Gallery. 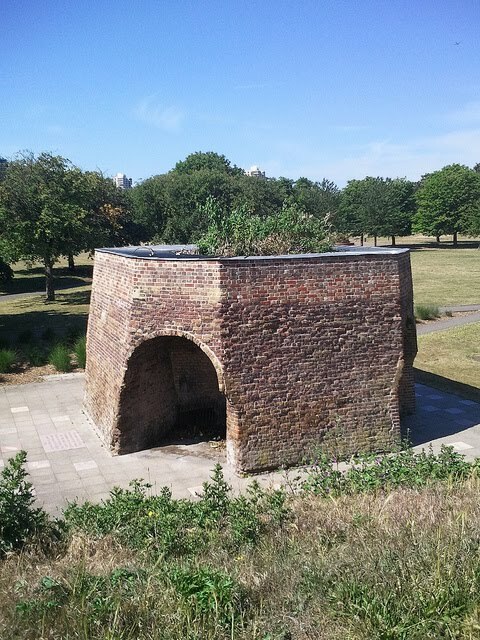 Originally set beside the Grand Surrey Canal, which was in as part of the creation of Burgess Park in Camberwell, the Burgess Park Lime Kiln was in use until the 1960s, when raw materials were unloaded directly from boats onto the wharves along the canal. We are told that the lime kiln was built in 1816 by local man Edward Burtt, whose business, Burtt's Yard, developed a substantial presence in the area, with various buildings, and cottages surrounding it, where workers lived and worked turning limestone into quicklime, for making cement. It operated until around 1880, when the railway system meant that canal transport was not so important. 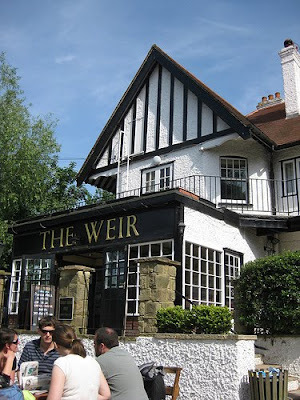 A picturesque pub right by the river, the Weir, in Walton on Thames, is within striking distance of the bubbling weir which gives it its name, and sits around three miles upstream from Hampton Court Palace, and then Central London beyond that. Popular on weekends with walkers taking the Thames Path, it is at its busiest on the weekends, and also offers food and accommodation. 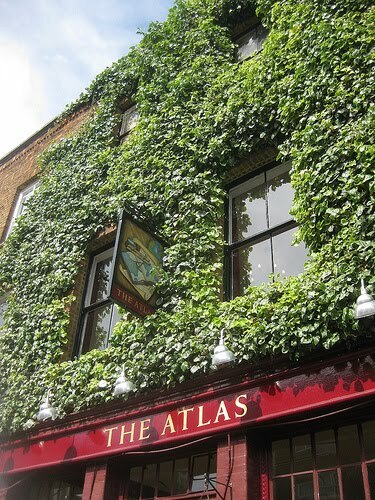 Your author doesn't know if either are any good, but it's certainly a great spot for weary cyclists, taking a break for a swift half and a packet of crisps beside the river. Beaconsfield is a contemporary art space in Lambeth. Whilst it attempts to confuse us with nonsense on its website about a 'holistic vision...to provide a critical space for creative enquiry' it is actually just a rather fun little gallery behind a locked door a short walk from Waterloo Station. 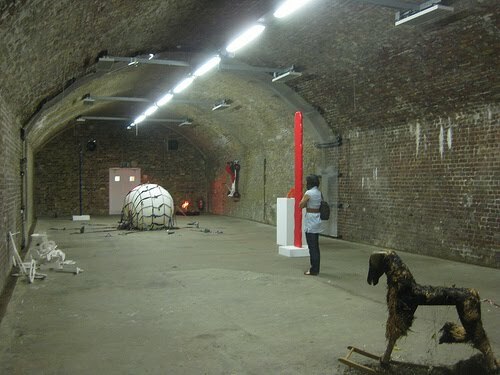 Established by artists in the mid-1990s in a building which was once the Lambeth Ragged School, it exhibits art in a gallery space upstairs and also in a space beneath a railway arch just behind it. The Museum of the Order of St John reopened late last year after extensive renovations at its base in St John’s Gate, the entrance to the former Priory of the Knights of St John in Clerkenwell. Through various displays it recounts the history of the Knights from their foundation in Jerusalem in 1099 to their modern role with the St John Ambulance. 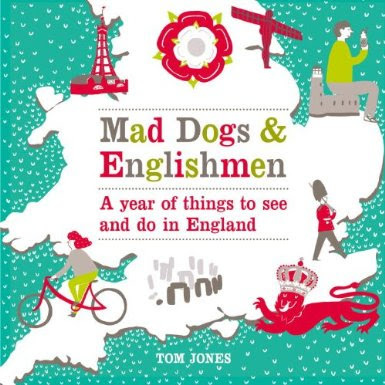 The priory was the English base of the Knights from the 1140s, and the museum follows them from their base in Jerusalem to Cyprus then Rhodes, and more recently Malta. 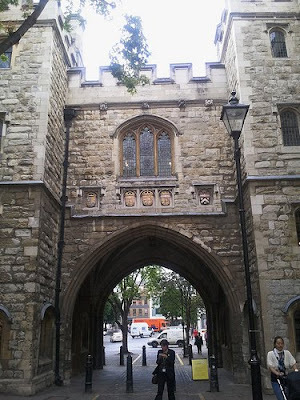 The Gate, meanwhile also has an interesting history, and we learn that it was here that this website's patron, Dr Samuel Johnson, was given his first job in London, writing reports for The Gentlemen’s Magazine. It's the time of year when the London Plane tree is adorned with beautiful green leaves, but most of us are only preoccupied by the nasty bits which fall off and land in our eyes. 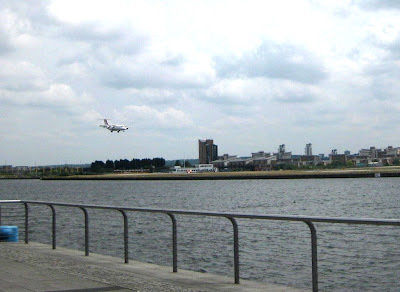 If you, like your author, are able to still able to maintain an admiration for them you might be interested to see the Richmond Riverside Plane. The tallest of its kind in the capital, according to a plaque placed at its base by the London Tree Forum, it is designated a Great Tree of London, whatever that means. 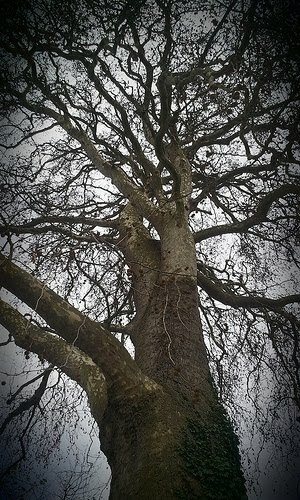 It is even said to be one of the tallest planes in the country and, we are told, its situation in Richmond makes it close to two other Great Trees, the Asgill House Beech and the Maids of Honour Stone Pine. This is clearly a favourable spot for tree-growing. For more information, and full directions, click here. 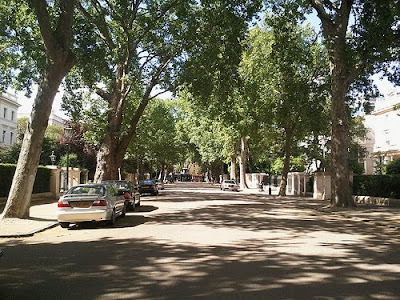 Surely one of London's oddest streets, Kensington Palace Gardens runs behind Kensington Palace itself, connecting Notting Hill to Kensington at the Southern end along a street which boasts some of the grandest and most expensive houses in the world. Mostly made up of embassies including that of Nepal, Norway, Russia and a rather odd blockish Slovenia at the Northern end, it is closed to all traffic other than that which can make it past the ominous security bollards, and its unclear whether you're even permitted to ride a bike. Current residents include Lakshmi Mittal, the UK's richest man, and Russian Oligarch Leonard Blavatnik, who is reportedly worth around $7 billion, Lakshmi Mittal's daughter, and also Jonathan Hunt, the founder of Foxtons, who presumably bought in as some sort of a statement to the people who question whether Foxtons make loads of money. For more on the fascinating street, click here. 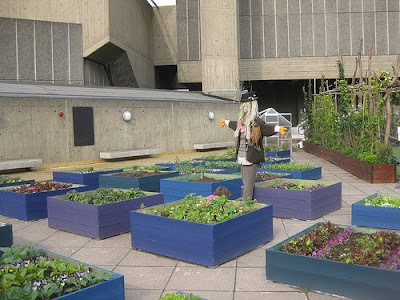 Back to the Southbank Centre today, where as part of their Festival of Britain 60th anniversary celebrations they've put a new garden on the roof of the Queen Elizabeth Hall, overlooking the new Urban beach. The rooftop garden has, we are told, been developed in partnership with the Eden Project by a team of 50 people who have faced adversity in life, with many having either being homeless, in prison or suffering from mental health problems. When your author popped by, it was a welcome retreat from the hustle and bustle of the South Bank below, and was looking in fine shape, though the grass looked like it was starting to suffer from all the sunshine, wind and lack of rain we've been having. If you want to know more about the garden, which is there until the beginning of September, click here. 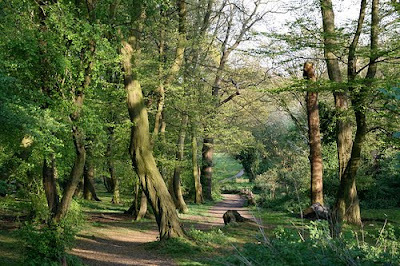 It's a lovely time of year for a walk in the woods, with everything springing into life and the birds twittering in the trees, so North London residents could do worse than considering an evening trip to Cherry Tree Wood, a 4.5 hectare local nature reserve in East Finchley. This relatively tiny fragment was once part of a much larger wood, and contains ancient woodland which has stood here for hundreds of years, as well as grassland, a picnic area and tennis and basketball courts. 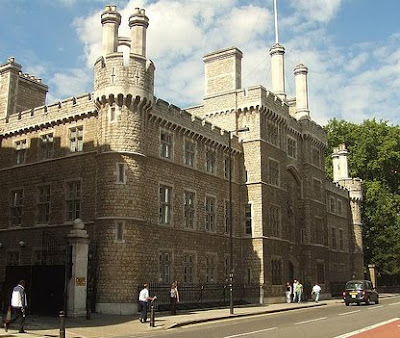 As readers might have seen elsewhere, the Honorable Artillery Company, the historic Territorial Army Regiment based in the City of London, is having an open evening tonight. Between 5.30pm and 8.30pm, we the people of London are being offered the chance to watch a gun and horse display by the Kings Troop, a display by 17th Century Pikemen & Musketeers, a display by the Company's Band, a tour of their valuable real estate just off Moorgate in the City of London, and a parachute drop as well as free food and soft drinks. The London Metropolitan Archives are operated by the City of London Corporation and are the main archives for Greater London, apparently containing enough documents to fill nearly fifty miles worth of shelving, dating back to 1067. 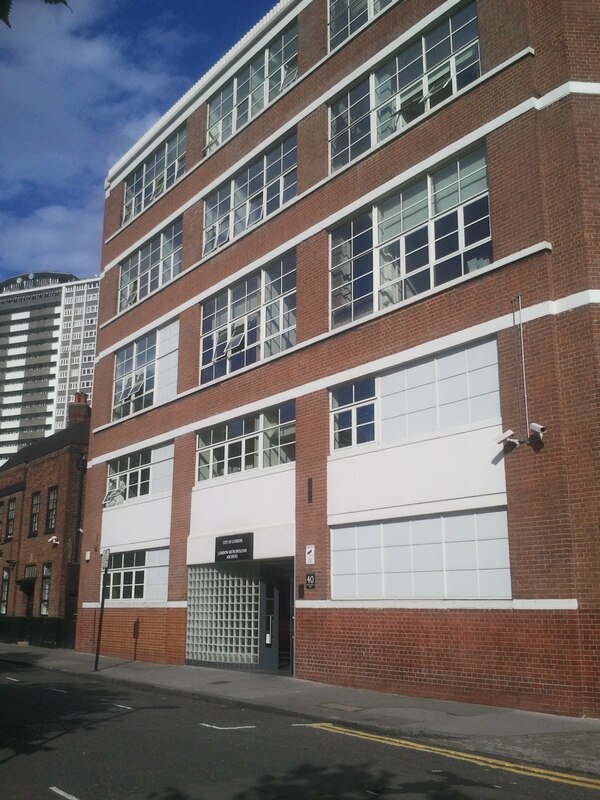 The archives are now situated on Northampton Road in Clerkenwell, and are open to everyone Monday - Friday and occasional Saturdays, with late opening on Tuesdays and Thursdays. There are a range of events, which this week include a talk on recording oral family histories and a behind the scenes tour. There is some great public art in Docklands, and one of your author's favourite finds recently is 'Vanishing Point' by Jay Battle. 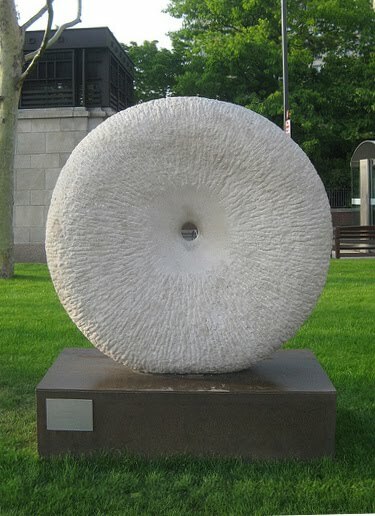 The piece is made of Derbyshire Stone and was installed in 1999 as part of an exhibition called 'The Shape Of The Century'. Ai Weiwei's Tate Sunflower Seeds were a bit of a damp squib last summer, after the health and safety police got involved, but despite being detained in his home country, he's back in various forms in London this summer, notably with hisinstallation comprises 12 bronze animal heads at Somerset House. 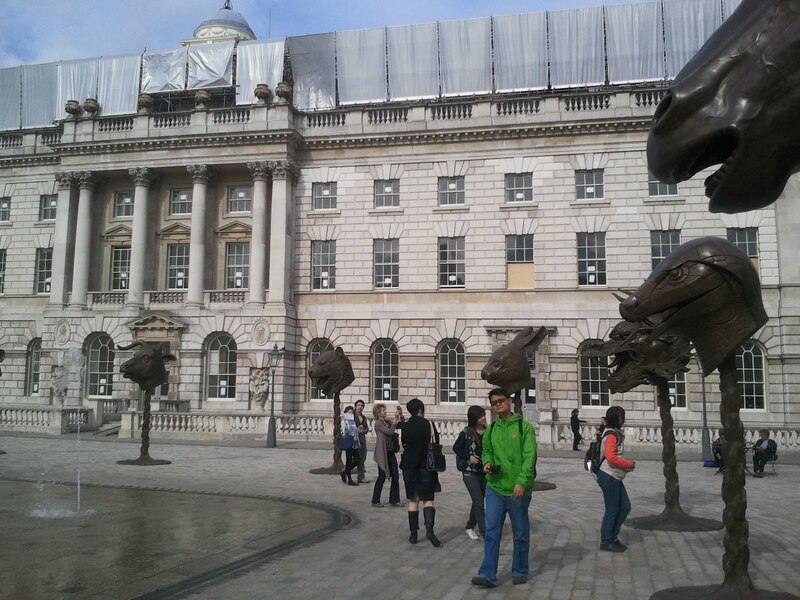 The heads stand around the fountains in the centre of Somerset House and, we are told, are re-creations of the traditional Chinese zodiac sculptures which once adorned the fountain of Yuanming Yuan, an imperial retreat in Beijing. Whilst it suffered badly during the Blitz, as late as the 1940s, when your author's grandfather sailed from the area, Limehouse was known as London's first and oldest Chinatown, owing to the numbers of Chinese settlers who had arrived by ships to the area and decided to stay. 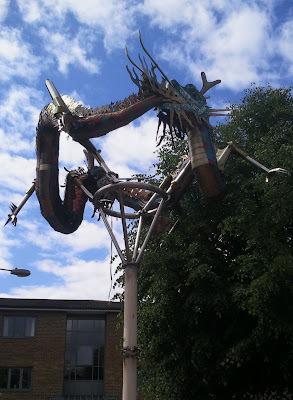 In the late 1990s, a sculpture of a dragon by Peter Dunn was placed on the corner of Mandarin Street and East India Dock Road to mark this association. Called Dragon's Gate, it was created with the help of a Docklands community co-operative the Art of Change, before it was divided up in 2002, and featured banners designed by members of Limehouse Youth Club. 'Colour and Line: Turner's Experiments' is a five year long exhibition in the Clore Gallery at the Tate Britain which invites visitors to explore J. M. W. Turner's use of watercolour and print. 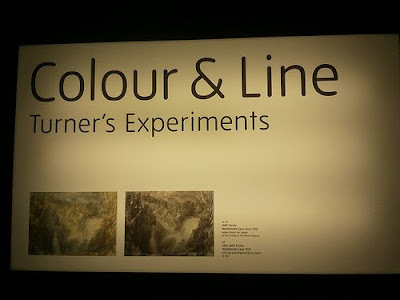 Alongside background displays on various aspects of Turner's work with colour, there is also the opportunity to attempt some of his drawing techniques in a second room where visitors are offered a pen and paper. For your author, sadly, the results were not particularly successful. 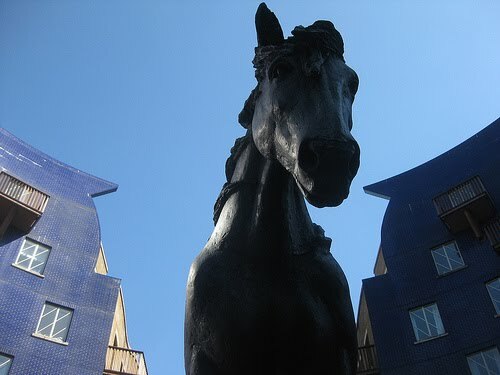 A sculpture of Jacob the Dray Horse stands in The Circle, Queen Elizabeth Street, SE1, in memory of the hundreds of Dray Horses who were stabled there when the site was home to the Courage Brewery. The horses were responsible for pulling cartloads of beer around London in order to quench the thirst of hungry workers, and even before that the area had been known as a place where horses would rest before entering the City. For this reason it was given the name Horselydown in the Sixteenth Century. Today, Jacob is the only horse to remain and he isn't even real. He was commissioned by the Jacobs Island Company and Farlane Properties as part of the redevelopment of the area and was flown in by helicopter in 1987. The Hibbert Gate, at the Western end of West India Quay, is a replica of the original main entrance to the Quay, which had to be removed in 1932 because it blocked traffic. The replica was installed in 2000, as part of the refurbishment of the area to mark 200 years since the formation of the Quay. 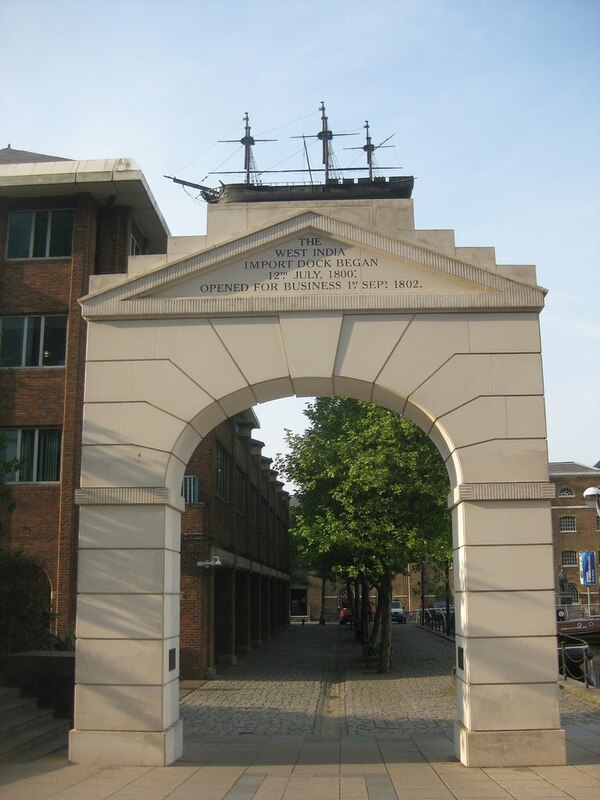 The original gate had been installed in 1803, and was topped off with a model of a sailing ship called 'The Hibbert', which traded between London and the West Indies during the 18th and 19th Centuries. The current model was designed by artist Leo Stevenson. Thought it is at an end of the docks which doesn't have a lot of thoroughfare, the arch is very striking and makes quite an impression. For more information, click here. 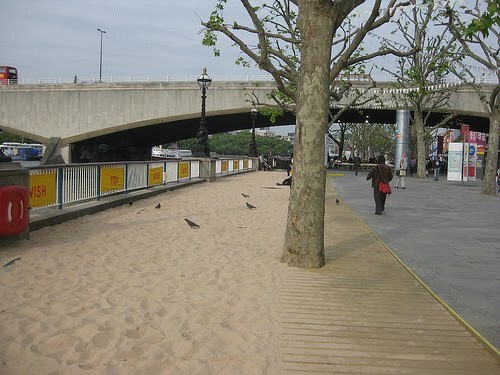 The Festival of Britain 60th Birthday celebrations are in full swing, and on the terrace in front of the Royal Festival Hall they've installed an urban beach, complete with sand and a range of themed beach huts. Whilst the attraction of the various huts seems to be a bit hit-and-miss, the sand is a big draw for parents and toddlers, who might otherwise have to commute many miles to their nearest stretch of pristine sand. As you can see from the picture, it also seems to be appealing to pigeons, but don't let that put you off. 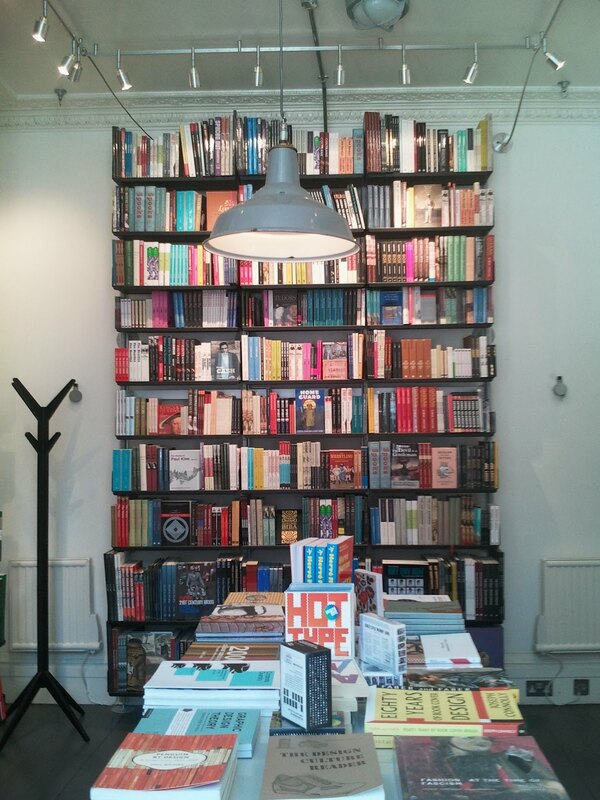 Meanwhile, for adults its worth persevering with a showcase of jars of sand from beaches around the country, a library of the sea, some vintage beachwear and a slot machine, amongst others. 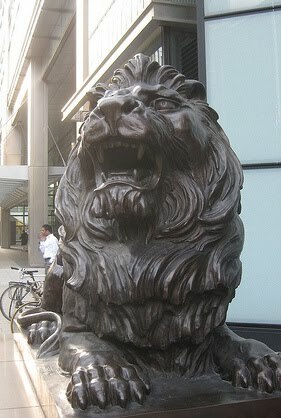 The entrance to the HSBC current global headquarters in Docklands is flanked by two bronze lions, cast in 2002 at the Bronze Age Sculpture Casting Foundry in Limehouse. These lions are copies of two 1930s bronze lions, who were designed by W. W. Wagstaff to guard the entrance to the offices of the Hong Kong and Shanghai Banking Corporation in Hong Kong, and bear a marked resemblance to two designed by Henry Poole to stand outside the Shanghai offices in 1923. A reader kindly contacted your author recently to point out that he had never featured the viewing platform at the Oxo Tower, and this was because he had never been. However, he took the opportunity to pop up on Thursday, and admire the view from the free public viewing gallery at the front of tower. 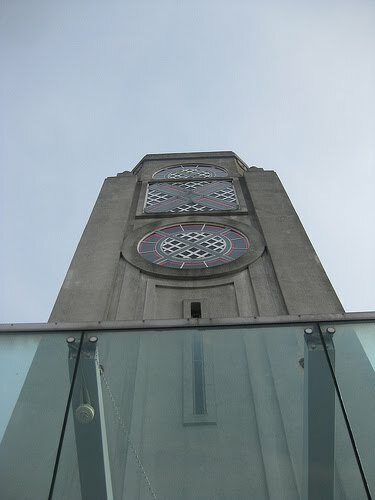 Through the work of the Coin Street Builders, Oxo Tower Wharf reopened to the public in 1996, and the as part of the current licence Harvey Nichols, who run the restaurant, are required to give free access to anyone wanting to visit the platform and gaze out over London. Those wanting to visit should ride the lift to floor eight, and when they are meet the smart-looking bar or restaurant staff just tell them they are there for the viewing platform, at which point they will point swiftly along the corridor and out to the platform. 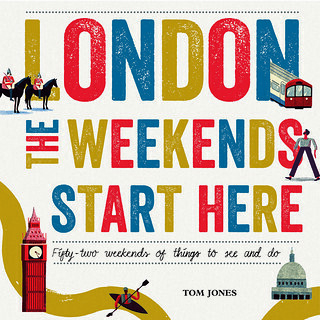 Visitors are then free to stand out there as long as they like, and cast an eye out over Central London. Having said that, if the same overly-romantic couple are there that were there on Thursday (and they looked like they were about to bed down for the duration) it probably won't be bearable for as long as would be nice. 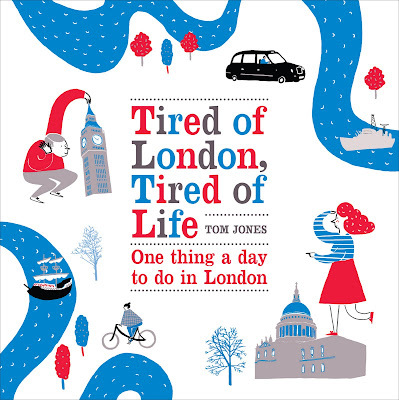 A PR agency contacted your author on Wednesday with a last-minute need-someone-to-make-up-the-numbers invitation to come down to the South Bank yesterday and test drive a smart car around the windy streets of Central London. It sounded like one of those fun jollies that he occasionally gets to go on, so he accepted. The good news, however, is that there was nothing special about his invite, and until 16th May anyone with a license can take a drive. For those who don't make a habit of driving in London, it's actually rather fun, and your author picked his way around windy lanes North of the river, circumnavigating the Savoy, heading up Farting Lane, and almost getting hit by a reversing van outside the Edgar Wallace. The smart urban stage (for that is the name) is situated on a car park on Doon Street - on the South Bank behind ITV - and there is also an exhibition about some worthy projects smart are championing. And the even better news is that you won't have to sit through a long boring chat by girl out of Kenickie and girl who stole Mark Radcliffe's Radio 2 show in order to get to your drive. Originally established in the 19th century, and previously housed at the Rotunda on Woolwich Common, Firepower is the Museum of the Royal Artillery and has been at its present location in the Royal Arsenal since 2001. The collection uses weaponry and military artefacts to tell the story of the Royal Artillery from the 16th Century to the present day. The museum also holds a fascinating collection of military medals - which are possibly of more interest to your author than others - but also some brilliant audio-visual displays and historical context. It's well worth the £5.30 for a ticket, and you can find out all about it at http://www.firepower.org.uk/. 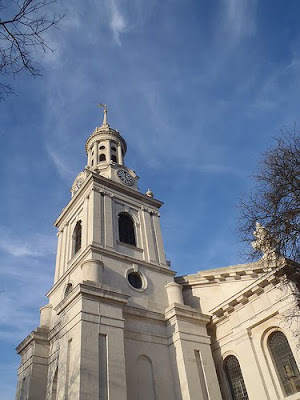 The grand church which dominates the shopping streets of Maritime Greenwich stands on a site which has witnessed Christian worship for nearly a thousand years, since the time when viking raiders kidnapped Alfege, the Archbishop of Canterbury and murdered him on the site in 1012. The church which stands today is by Hawksmoor, and was constructed the second, thirteenth century church, collapsed in a storm in 1710. Despite some damage during the Second World War, it is still largely intact. Memorials to a number of royal courtiers still lie beneath the floor, showing evidence of the time when Greenwich was a centre of monarchy. The Euston Tap is an interesting little bar, housed in the Grade II listed West Lodge of Euston Station. The Lodge is a very grand structure, bearing the names of destinations served by the London & North Western Railways, including some which haven't seen a train in many years. Now run by the same people who run Bloomsbury Bowling, the Euston Tap has a central square bar downstairs, offering an impressive range of beers, and a small seating area upstairs, which is accessed by a long spiral staircase. 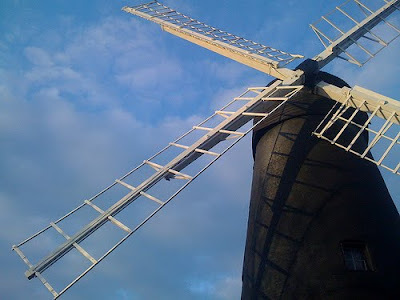 Your author just returned from a couple of days cycling the Thames, and was woken by the wind rumbling in the chimney this morning to an email from his parents alerting him to the reopening of the Brixton Windmill, backed up by a post on Diamond Geezer. 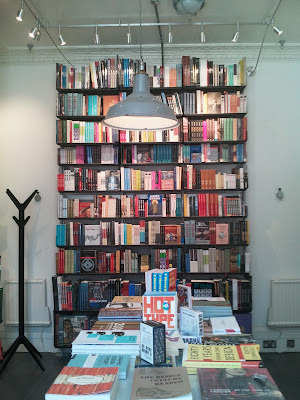 It felt like a conspiracy, and sounds well worth a visit. The windmill was built in 1816, and subsequently leased to was leased to the Ashby Family, and used the wind to make flour until 1862, then was converted to other types of power and remained in operation until the 1930s. It was subsequently restored and in the 1960s passed into public ownership and is now a grade II* listed structure, preserved by Lambeth Council and the Friends of Windmill Gardens. Today's reopening ceremony, which follows extensive refurbishments, sees live music, a parade, a fancy dress competition, and the first tours of the refurbished windmill. It all kicks off at 2pm. 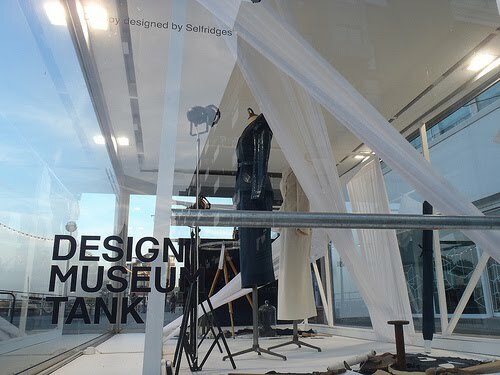 The Design Museum Tank is a large glass box which sits outside the Design Museum on the South Bank in Southwark. 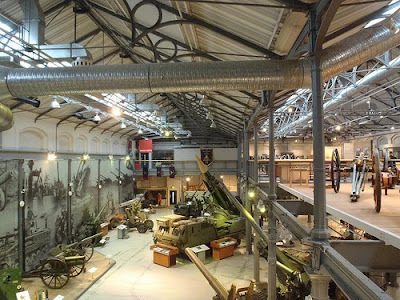 The Tank hosts a number of exhibitions each year, which due to its position on a public thoroughfare, are free to view. The current exhibition 'Elements of Production' showcases a range of bowls, made from 100% recycled plastic by furniture and product design studio FaddaSantos.